To put a smile on a child’s face is something we all love to do. Savoy Cinemas did just that on Saturday 30 March. 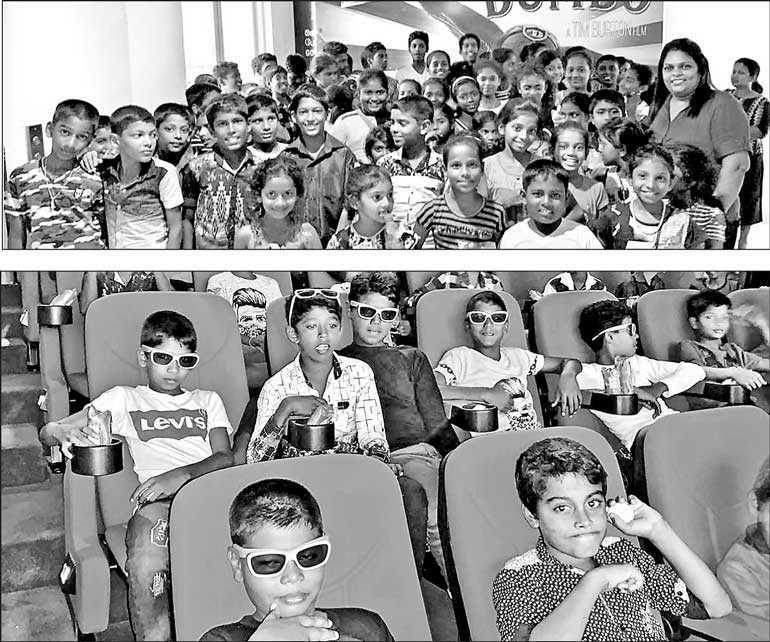 They invited 200 children to enjoy a day at the movies at the Savoy Premier Cinema in Rajagiriya to watch Disney’s, Dumbo The Flying Elephant. The children from the Voice Foundation, SOS Foundation, and Centre of Hope were treated to a truly red carpet extravaganza. From the time they arrived at 8 a.m., Savoy Cinemas ensured that they had a full blown movie goer’s experience. Whether it was a Happy Meal from McDonalds, or an interval snack from Maliban, the kids aged 5 to 15, just had a blast with Dumbo The Flying Elephant. For most, it was their first movie experience, and certainly will be etched in their memories forever. Savoy Cinemas look forward to creating such happy memories for kids who typically don’t have the opportunity to go to the movies. Savoy Cinemas, who is Sri Lanka’s sole distributor of Disney and Marvel movies, and an industry stalwart in distributing Sinhala and Tamil films, is now on its way to becoming a true Corporate Samaritan in the country, guided by the vision and strength of Ben Holdings Ltd.